Norfolk County Council have launched the Stronger Families service to provide families in need with therapy to help children live safely at home with their families. Breaking Barriers is a free service that supports children of offenders through one-to-one sessions to break down some of the barriers that may prevent them from engaging with school or family, and from maintaining positive ties (as appropriate) with their imprisoned family member. 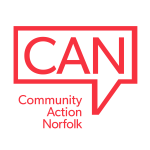 Norfolk Young Carers Forum are doing some research aimed at getting young carers and young adult carers voices heard. Work it Out is a service offered by Young Women’s Partnership to women aged 16 to 30 looking for employment, training or an alternative job/progression. Young people aged 16 – 24, and stakeholders are invited to comment on how a £90 million funding programme can be best used to tackle barriers to education, employment and training. The Children’s Services boundary for City and South Norfolk have been changed following a review of referral figures to provide a better workload balance between the two areas.